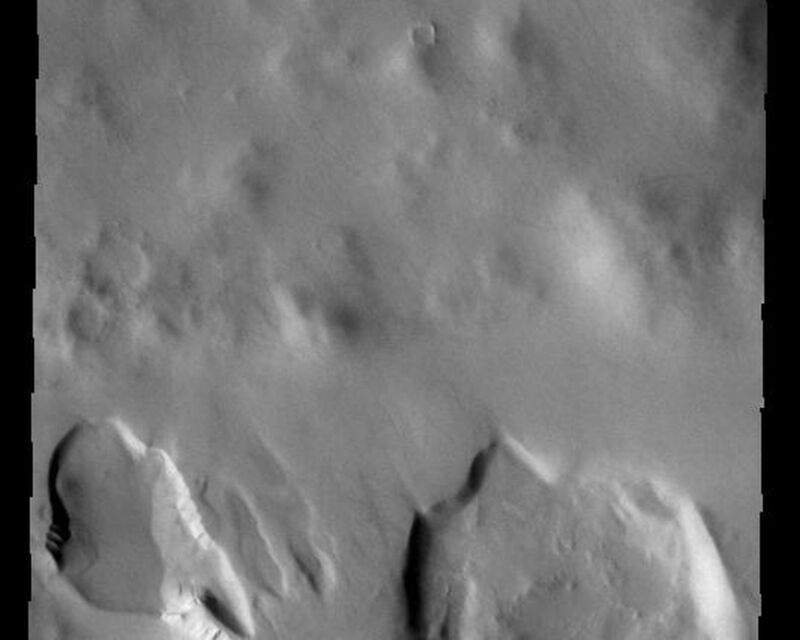 Today's VIS image shows part of an unnamed crater in Noachis Terra. Several craters in the southern hemisphere contain floor fill that has subsequently been eroded to form depressions in the fill material. Many depressions of this type are parallel to the crater wall. 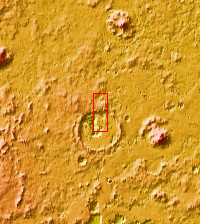 Other depressions are located in the center of the crater and are relatively linear. 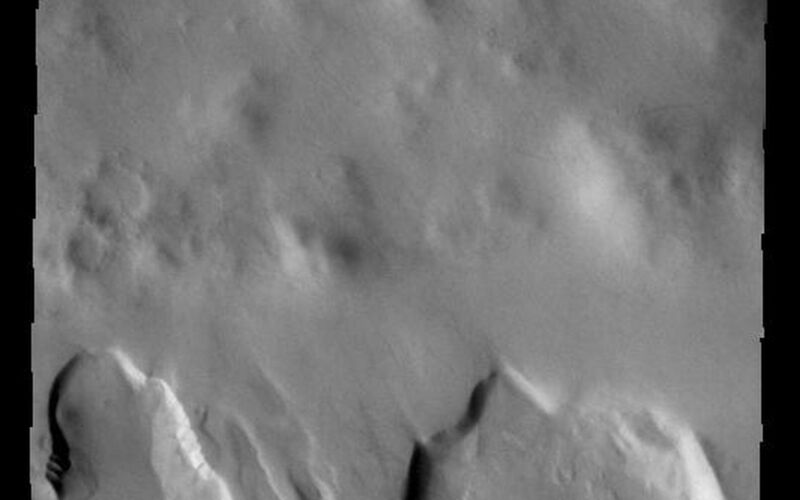 This crater depression is of the second type. 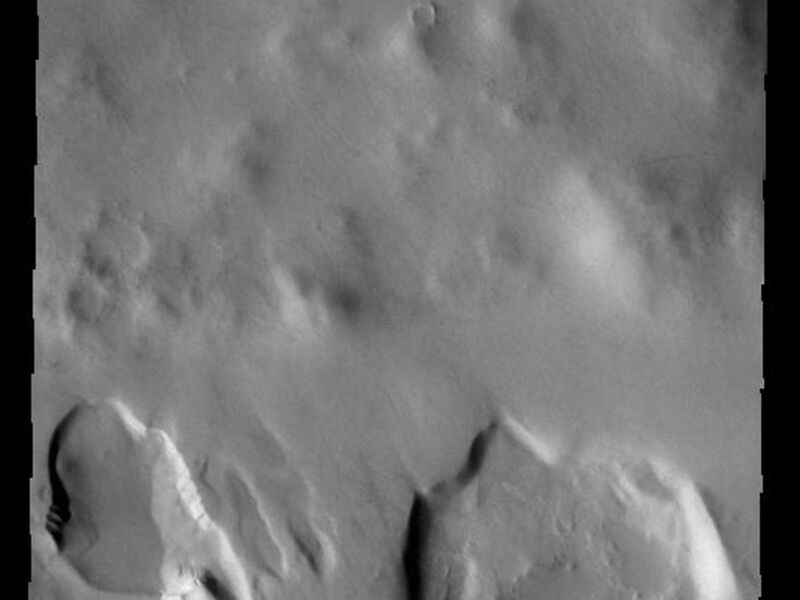 Several gullies are visible on the side of the depression at the bottom of the image.